The torrent sculpin (Cottus rhotheus) is a freshwater sculpin. Like most cottids, the torrent sculpin is a benthic species characterized by large, rounded pectoral fins, a large, flattened head with dorsal eyes, and a body and head frequently covered with spines or prickles (Moyle and Cech 1996). The torrent sculpin is gray-brown with black speckling and has a heavily mottled chin and has two forward-slanting, dark bands on both sides of its body under the soft, posterior portion of the dorsal fin. During spawning season, males darken, and the upper fringe of the anterior dorsal fin turns a bright orange (Troffe 1999). The torrent sculpin is often larger than many other species of freshwater sculpins, reaching a maximum length of approximately 150 mm (Wydoski and Whitney 2003). Morphological characteristics that distinguish the torrent sculpin from other sculpin species are its large head (generally greater than 30 percent of its total body length), complete lateral line, slender caudal peduncle, strongly mottled chin, wide mouth (wider than body width at the pectoral fins, well-developed palatine teeth, and two chin pores (Wydoski and Whitney 2003; Holton and Johnson 2003). The torrent sculpin is native to the Pacific Northwest and is found in Washington, Oregon, British Columbia, Idaho, and Montana. It occurs primarily in tributary systems of the Columbia River basin, but also occurs in the Fraser River System in British Columbia, and in coastal streams from Oregon to British Columbia. In Montana, the torrent sculpin has only been found in the northwestern part of the state in the Kootenai River drainage (Brown 1971; Gangemi 1992; Figure 1). Torrent sculpin distribution appeared to be restricted to tributary streams of the Kootenai River in close proximity to the main river, although the species was present at distances greater than 5 km from the main river in Tobacco River tributaries (Gangemi 1992). Sculpins were formerly legal live baitfish in Montana, but there is no evidence suggesting this practice has expanded the range of the torrent sculpin in Montana (Hendricks 1997). The slimy sculpin C. cognatus is the only other sculpin species that has been found to co-occur with the torrent sculpin in Montana (Gangemi 1992). Whereas interbreeding between the two species is possible, the limited genetic work that has been conducted has not shown any evidence of hybridization (Hendricks 1997). Figure 1. Torrent sculpin distribution (blue shading) in Montana (Holton and Johnson 2003). The torrent sculpin is primarily a lotic species found in clear, cold streams with swift current, but also occurs to a lesser extent in rocky shoals of lakes (Holton and Johnson 2003; Wydoski and Whitney 2003). Lotic torrent sculpin are typically found in streams greater than 2.4 m wide (Wydoski and Whitney 2003). For example, in northern Idaho, streams with torrent sculpin averaged 10.4 m wide (Quintela 2004). Like other sculpins, the torrent sculpin is most frequently found in fast-water habitat (riffles, runs, and cascades), and less frequently in pools (Finger 1982; Roni 2002; Wydoski and Whitney 2003). Wydoski and Whitney (2003) reported that torrent sculpin collected from streams on the Olympic Peninsula in Washington were found in riffles and runs slightly over 70 percent of the time and in pools just 31 percent of the time. As a benthic species, the presence of torrent sculpin is closely associated with substrate composition. It is most abundant when stable cobble or gravel substrate is available (Finger 1982; Wydoski and Whitney 2003; Quintela 2004). The species likely uses the interstices in coarse substrate as cover and as a place to find food (e.g., Brusven and Rose 1981). The torrent sculpin feeds predominately on zooplankton and aquatic insect larvae as a sub-adult; adult diets also include small fish and fish eggs (Northcote 1954; Brown 1971; Patten 1971; Pasch and Lyford 1972; Troffe 1999). The torrent sculpin, with its large mouth and larger overall size, has the ability to select bigger prey items than other species of freshwater sculpins (Northcote 1954; Pasch and Lyford 1972; Wydoski and Whitney 2003). In situations where the species is sympatric with another sculpin species, the ability to select a wider variety of prey sizes likely offers the torrent sculpin a competitive advantage. Sculpins, including the torrent sculpin, tend to be prevalent and abundant in salmonid streams (Bailey 1952; McCleave 1964; Maret and MacCoy 2002), and provide an important food source for many salmonids (Brown 1971; Wydoski and Whitney 2003). Torrent sculpin can live as long as six years and reaches sexual maturity by age two, at approximately 57 mm in total length (Brown 1971; Wydoski and Whitney 2003). Spawning occurs in late spring, generally in April and May (Brown 1971; Thomas 1973; Wydoski and Whitney 2003). Like other freshwater cottids, the torrent sculpin spawns in nests located under rocks in swift water (Wydoski and Whitney 2003). The female deposits adhesive eggs on the underside of an overhanging rock and the male then fertilizes them (Simon and Brown 1943; Bailey 1952). The fecundity of female torrent sculpin is a function of body size, with larger females producing approximately 500 eggs and smaller females producing far fewer (Troffe 1999; Wydoski and Whitney 2003). After fertilizing the eggs, male sculpins remain at the nest, attending it until the young are hatched (Simon and Brown 1943; Bailey 1952; Mousseau et al. 1987; Bateman and Li 2001; Montana Fish, Wildlife, and Parks 2005). Torrent sculpin fry may emerge from the nest as early as August (Northcote 1954; Brown 1971) and presumably like other cottids, drift and disperse downstream (Sheldon 1968). Movements of torrent sculpin are poorly understood. In Washington, torrent sculpin have been documented moving upstream to spawn from late-January to mid-April, then moving back downstream, presumably to pre-spawning nodal habitats, after completion of spawning in May and June (Thomas 1973). The magnitude of these movements is unknown. Several researchers have found freshwater sculpins to be rather restricted in their movements (Bailey 1952; McCleave 1964; Brown and Downhower 1982), with the farthest recorded movement by a freshwater cottid in North America being 209 m (Schmetterling and Adams 2004). The relatively sedentary life history presumed for the torrent sculpin is supported by limited genetic work that has been conducted in Montana showing very low heterozygosity (0-0.2%) among analyzed fish (Hendricks 1997). The torrent sculpin is currently listed as an “S3” species of special concern by the state of Montana (Montana Natural Heritage Program 2004), and is also designated as a sensitive species by the U.S. Forest Service in Region 1 (Lee et al. 1997). An “S3” designation means that the species in Montana is potentially at risk because of limited and potentially declining numbers, extent and-or habitat, even though it may be abundant in some areas (Montana Natural Heritage Program 2004). The global ranking of the torrent sculpin is a “G5” meaning that throughout most of its range it is common, widespread, and abundant (Montana Natural Heritage Program 2004). In Montana, the torrent sculpin is likely most threatened by land use practices that could diminish habitat quality. Lee et al. (1997) considered sedimentation, increased water temperature, and pollution as the major potential negative impacts to the torrent sculpin. Common sources of these impacts include unregulated livestock grazing, poor logging practices, mining wastes, irrigation diversions, roads, and urbanization (Marcus et al. 1990; Meehan 1991). The torrent sculpin is thought to be intolerant of poor water quality (Maughan and Laumeyer 1974; Hughes and Gammon 1987; Friesen and Ward 1996; Maret and MacCoy 2002), and is unlikely to persist when faced with high levels of habitat degradation. Like all other sculpin species, the torrent sculpin is classified as a non-game fish species by Montana Fish, Wildlife and Parks. This classification is based primarily on its small size and lack of sport or food fish qualities. 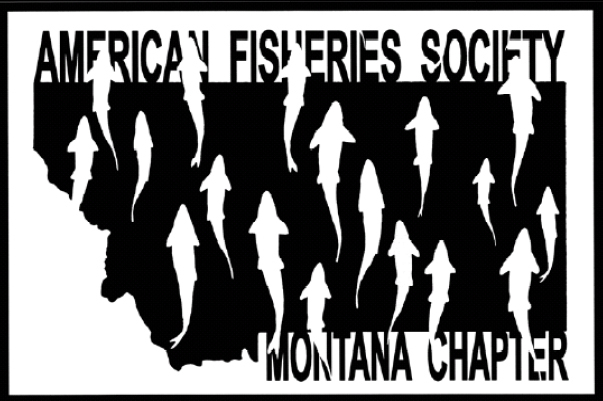 Although commercial baitfish harvest is allowed for many non-game fish species in Montana, the harvest of sculpins for this purpose is no longer permitted. It is unknown whether the torrent sculpin has been extirpated from any of its historic range in Montana. A primary focus of managing the torrent sculpin in Montana should be to more accurately determine the status of the species. Efforts should be made to describe its complete range, as well as to estimate abundance at locations where its presence is currently known. Populations should be routinely monitored to describe population trends over time. Additionally, further research into the life history of the species is also needed. Much of the life history of the torrent sculpin is poorly understood (e.g., movement), and is commonly assumed to be similar to that of other freshwater cottids. The torrent sculpin should also be protected from habitat degradation and loss by managing land uses, particularly those that could result in increased sedimentation, water temperature, or pollution. Reviews of this status report were provided by David Schmetterling, Paul Hendricks, and Robert Bramblett. Bailey, J. E. 1952. Life history and ecology of the sculpin Cottus bairdi punctulatus in southwestern Montana. Copeia 1952:243-255. Batemen, D. S., and H. W. Li. 2001 Nest site selection by reticulate sculpin in two streams of different geologies in the central coast range of Oregon. Transactions of the American Fisheries Society 130:823-832. Brown, C. J. D. 1971. Fishes of Montana. Big Sky Books. Bozeman. Brown, L., and J. F. Downhower. 1982. Summer movements of mottled sculpins, Cottus bairdi (Pisces: Cottidae). Copeia 1982:450-453. Brusven, M. A., and S. T. Rose. 1981. Influence of substrate composition and suspended sediment on insect predation by the torrent sculpin, Cottus rhotheus. Canadian Journal of Fisheries and Aquatic Sciences 38:1444-1448. Finger, T. R. 1982. Interactive segregation among three species of sculpins (Cottus). Copeia 1982:680-694. Friesen, T. A., and D. L. Ward. 1996. Status and condition of fish assemblages in streams of the Tualatin River Basin, Oregon. Northwest Science 70:120-131. Gangemi, J. T. 1992. Sculpin (Cottus) distribution in the Kootenai National Forest and western portions of the Lolo National Forest, Montana. Montana Natural Heritage Program. Helena. Hendricks, P. 1997. Status, distribution, and biology of sculpins (Cottidae) in Montana: a review. Montana Natural Heritage Program. Helena. Holton, G. D., and H. E. Johnson. 2003. A field guide to Montana fishes, Third Edition. Montana Fish, Wildlife and Parks, Helena. Hughes, R. M., and J. R. Gammon. 1987. Longitudinal changes in fish assemblages and water quality in the Willamette River, Oregon. Transactions of the American Fisheries Society 116:196-209. Lee, D. C., J. R. Sedell, B. E. Rieman, R. F. Thurow, and J. E. Williams. 1997. Broadscale assessment of aquatic species and habitats. Pages 1057-1496 in T.M. Quigley and S. J. Arbelbide, editors. An assessment of ecosystem components in the interior Colombia Basin and portions of the Klamath and Great Basins, Volume 3. USDA Forest Service, General Technical Report PNW-GTR-405. Marcus, M. D., M. K. Young, L. E. Noel, and B. A. Mullan. 1990. Salmonid-habitat relationships in the western United States: a review and indexed bibliography. U.S. Forest Service General Technical Report RM-188. Maret, T. R., and D. E. MacCoy. 2002. Fish assemblages and environmental variables associated with hard-rock mining in the Coeur d’ Alene River Basin, Idaho. Transactions of the American Fisheries Society 131:865-884. Maughan, O. E., and P. H. Laumeyer. 1974. Further information on the inventory of fishes of Hangman Creek. Northwest Science 48(3):172-174. McCleave, J. D. 1964. Movement and population of the mottled sculpin (Cottus bairdi Girard) in a small Montana stream. Copeia 1964:506-513. Meehan, W. R., editor. 1991. Influences of forest and rangeland management on salmonid fishes and their habitats. American Fisheries Society, Special Publication 19, Bethesda, Maryland. Montana Natural Heritage Program. 2004. Montana animal species of concern. Montana Natural Heritage Program and Montana Fish, Wildlife and Parks, Helena. Mousseau, T. A., N. C. Collins, and G. Cabana. 1987. A comparative study of sexual selection and reproductive investment in the slimy sculpin, Cottus cognatus. Oikos 51:156-162. Moyle, P. B., and J. J. Cech, Jr. 1996. Fishes: An introduction to ichthyology, 3rd edition. Prentice Hall, Upper Saddle River, New Jersey. Northcote, T. G. 1954. Observations on the comparative ecology of two species of fish, Cottus asper and Cottus rhotheus, in British Columbia. Copeia 1954:25-28. Pasch, R. W., and J. H. Lyford, Jr. 1972. The food habits of two species of Cottus occupying the same habitat. Transactions of the American Fisheries Society 101:377-381. Patten, B. G. 1971. Increased predation by the torrent sculpin, Cottus rhotheus, on coho salmon fry, Oncorhynchus kisutch, during moonlight nights. Journal of the Fisheries Research Board of Canada 28:1352-1354. Quintela, J. G. 2004. Habitat variables affecting the distribution and density of torrent sculpin (Cottus rhotheus) in northern Idaho. Master’s thesis. University of Idaho, Moscow. Roni, P. 2002. Habitat use by fishes and Pacific giant salamanders in small western Oregon and Washington streams. Transactions of the American Fisheries Society 131:743-761. Schmetterling, D. A., and S. B. Adams. 2004. Summer movements within the fish community of a small montane stream. North American Journal of Fisheries Management 24:1163-1172. Sheldon, A. L. 1968. Drift, growth, and mortality of juvenile sculpins in Sagehen Creek, California. Transactions of the American Fisheries Society 97:495-496. Simon, J. R., and R. C. Brown. 1943. Observations on the spawning of the sculpin, Cottus semiscaber. Copeia 1943:41-42. Thomas, A. E. 1973. Spawning migration and intragravel movement of the torrent sculpin, Cottus rhotheus. Transactions of the American Fisheries Society 102:620-622. Troffe, P. M. 1999. Distribution of sculpins in the Columbia Basin. Living Landscapes, Royal British Columbia Museum. Available: http://www.livinglandscapes.bc.ca/cbasin/peter_myles/nat_cottidae.html. (January 2005). Wydoski, R. S., and R. R. Whitney. 2003. Inland fishes of Washington, 2nd edition. American Fisheries Society, Bethesda, Maryland and University of Washington Press, Seattle.